What does it take for you to get outside? 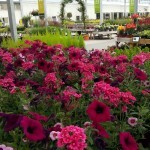 Have you summoned up the enthusiasm to start work outside in your garden yet? Our own has been damp, soggy and quite frankly, uninspiring given the lack of sunshine and continuous misty drizzle we’ve been experiencing for days on end. The clouds have barely lifted and I’ll admit it’s been difficult to shake the misty grey cloak that has enveloped us for weeks. My soil is wet, the grass is sodden and the driveway is getting muddier day by day. So what does it take to inspire you, to dig out the gardening gloves and step out of the door when your instincts are to stay warm and dry Inside? Do you need to see the sun or the stretch in the evenings? 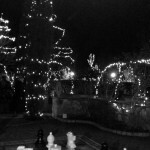 I wasn’t sure what it was going to take to do it for me this year (and I’m a gardener who loves to be outdoors!) so was relieved to find the magic cure this week. I’m now bursting to get out, to put on the boots and fix the wheelbarrow wheel. 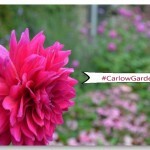 In the end all it took was a blissfully happy meander around the gardens of Altamont Gardens in County Carlow. 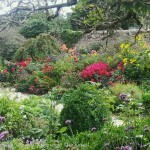 For years Altamont has been a favourite garden destination for us. From walking around with babies in slings and small children in backpacks, to helping them tackle the stepping-stones and more recently, watching our older two run and laugh, clamber and climb on an impromptu sunny afternoon visit. 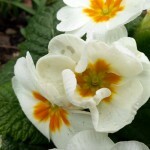 This was my first visit to the gardens in early spring and my first without children. 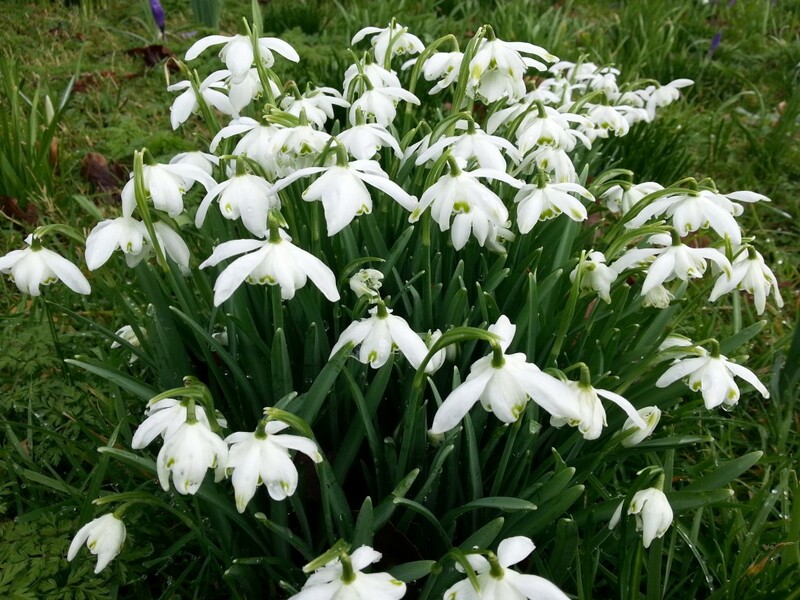 It was so breathtakingly beautiful with its swathes of white and every shade of green I’ll be heading there again in a couple of weeks to see the daffodils, rhododendrons and crocus in full bloom. 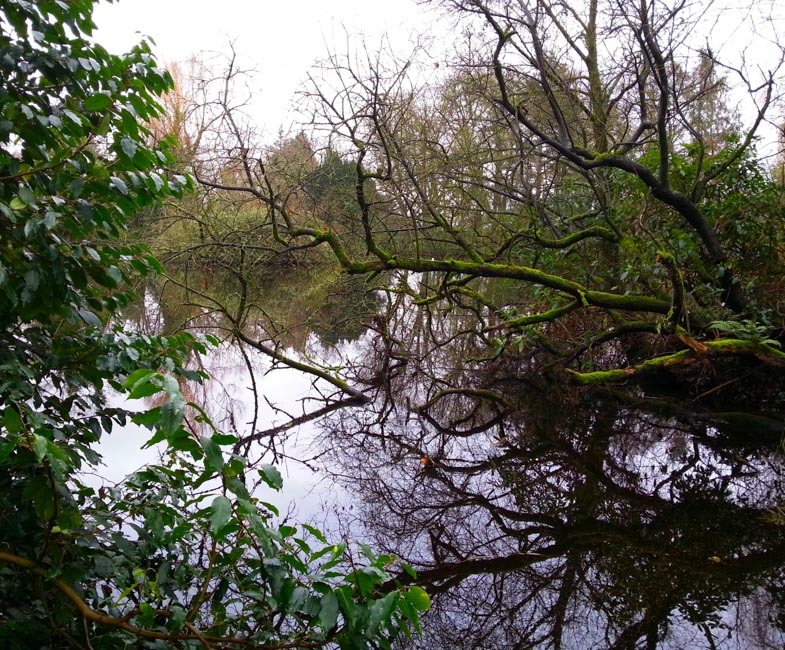 No matter what the season there’s always something to see at Altamont – from rose lined walks and Yew archways to the lily pad lake and hundred step walk. It only took a couple of hours for the mood change to take place, the fog to lift. As a result of the pleasant amble, I can’t wait for a few dry days so that I can pull the weeds, clear the leaves and cover my own soil with organic matter. I now have a list of new plants I’d like to see growing in our recently created front garden – Mahonia and Ilex, Sarcococca and Hellebore. 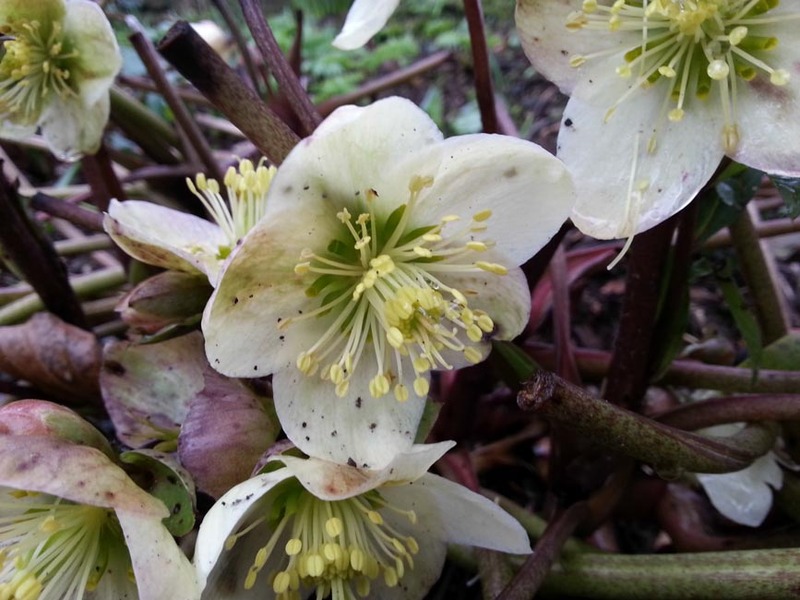 Oh yes the helleborus! I’ve never considered myself a big fan of them until now… if they’re so intent upon hanging their heads low, not daring to show us their delicate flowers why would I bother adding them to my little space? They aren’t shy at Altamont though. They lift their soft petals giving us a glimpse of what lies within and now I want to fill my beds with them, scatter them around in their greens, yellows and purples, lighten my currently non-existent spring garden with their subtle shades! 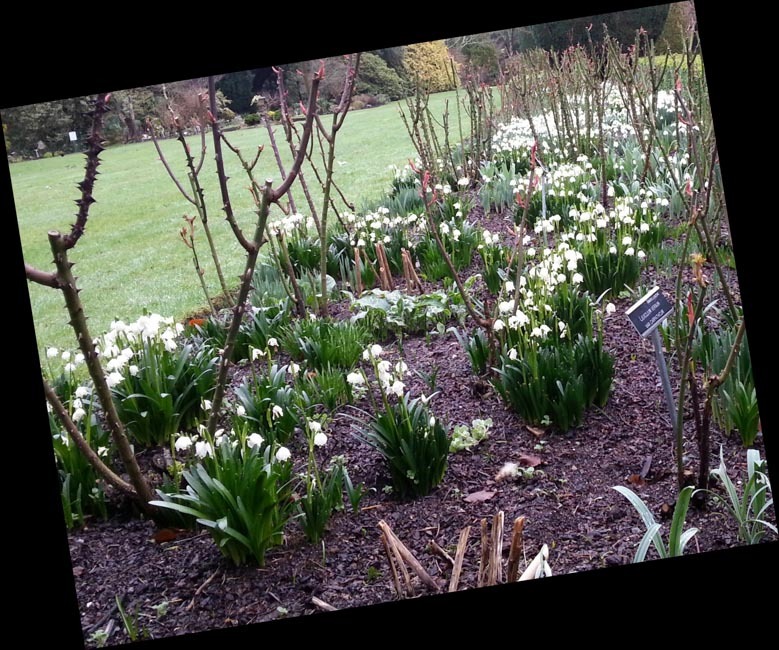 The snowdrops were shown off by the contrasting mulch and interspersed with cyclamen, aconite and an occasional crocus that had popped up in the beds early. 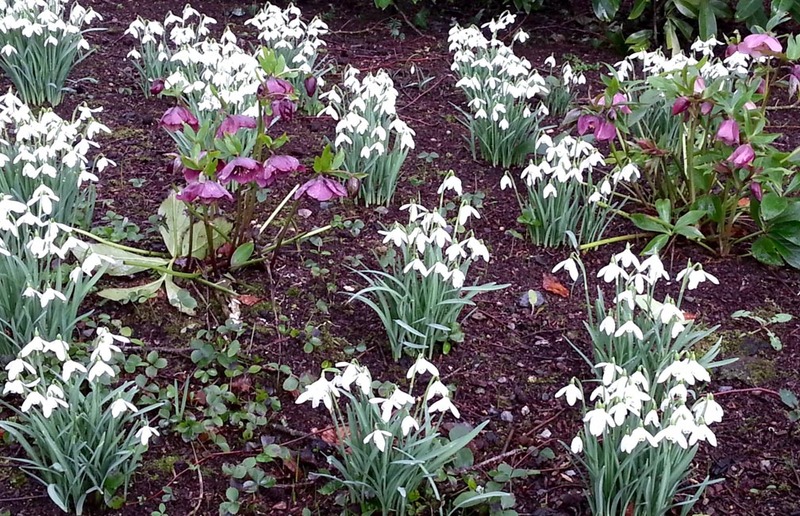 Early spring was truly on show in the Altamont garden and if you’re looking for somewhere to visit and find your way near Tullow in county Carlow I’d urge you to take a stroll there. 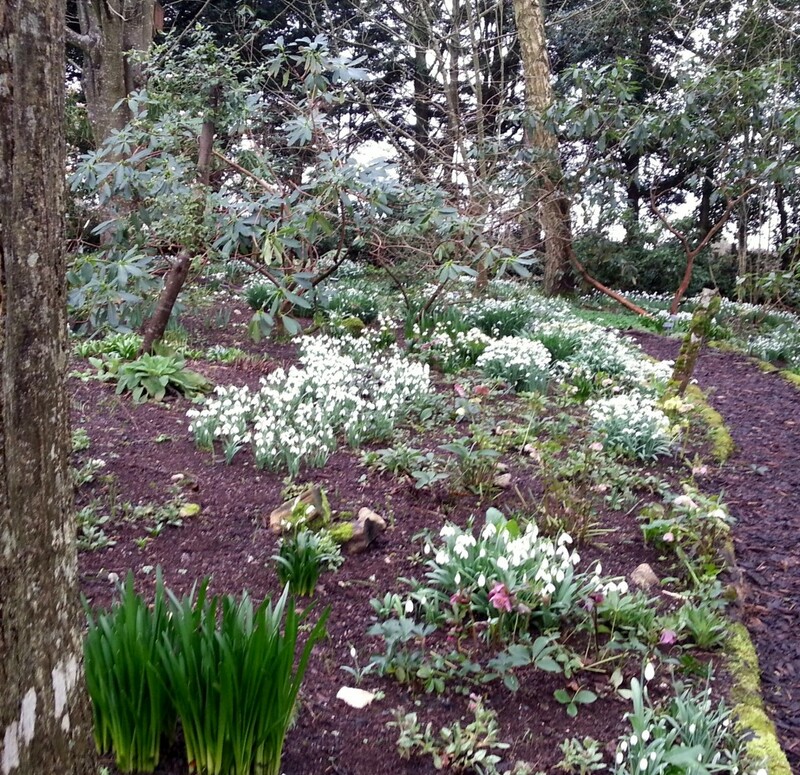 Like many gardens in Ireland, Altamont is free to wander around, with guided tours available for a small fee. 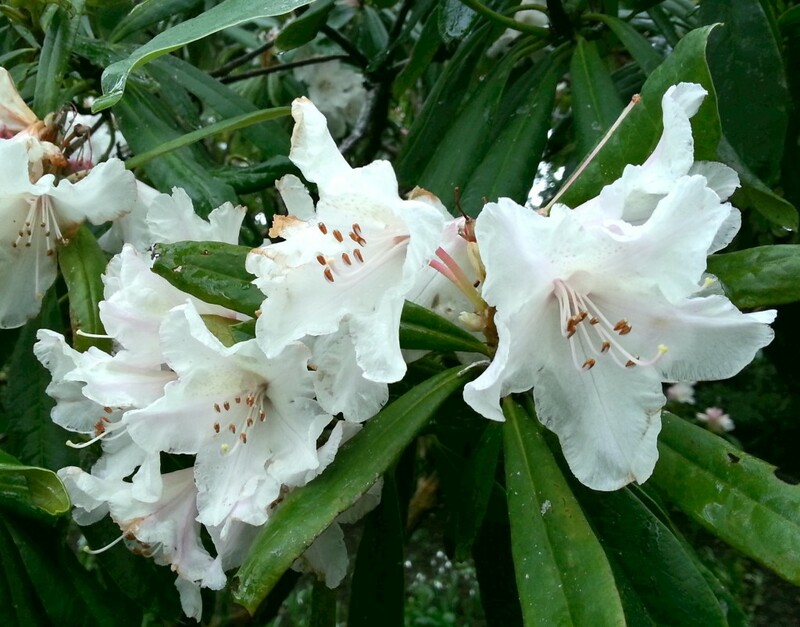 There’s a well stocked nursery on site, most of the plants, trees and specimens are labelled enabling you to take notes of anything you’d like to see in your own gardens and toilet facilities are clean. There’s no cafe so bring a flask and a picnic which you can eat at the picnic benches that overlook the fields of cattle and calves, and above all go home inspired with garden design or plant combination ideas… go home bursting with enthusiasm to get outside. Fingers crossed you make it Lorna. The lower path was closed yesterday but the walk was still lovely, even on a grey day. I’m so glad I headed out of doors as was raining at home when I left and still raining when home, yet dry at the bottom of the hill! Enjoy your tea at Duckett’s Grove, I’d forgotten it was nearby.